What is XML Sitemap In SEO? How to Create a Sitemap in WordPress Website? An XML sitemap is a bunch (List) of links that help Google and other major search engines to better understand your website while crawling (Indexing) it. XML sitemap acts as a roadmap of any website or blog which leads Google to all your all important pages. Google XML sitemaps can be an important part of, as they help to allow the search engine to quickly find your essential website pages, even if your internal linking isn’t perfect. 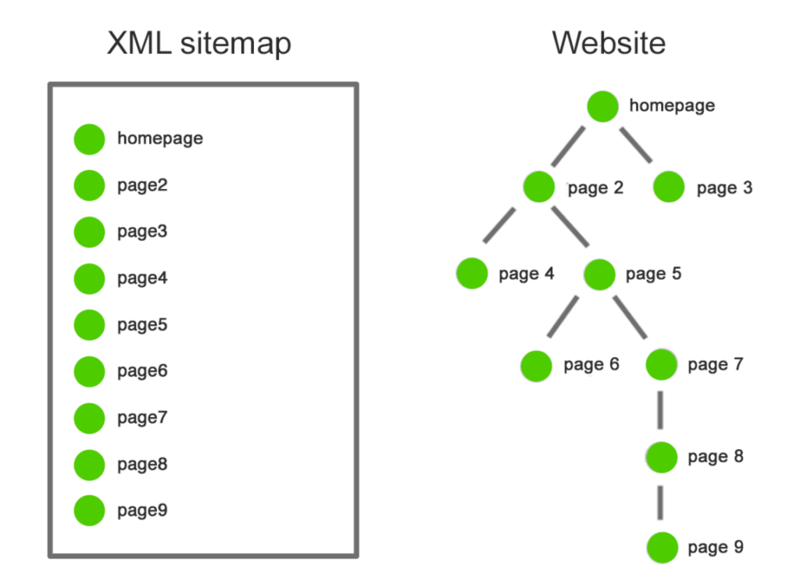 Many people searching about: What is XML sitemap in SEO? Do I need to have an XML sitemap on my site? How can I create an XML Sitemap in WordPress? Submit your XML Sitemap to Google? In simple terms, an XML sitemap is a complete list of your website’s URLs. An XML sitemap is a blueprint for a website to inform Google and other major search engines about your website page URLs that are available for crawling. Frequently change the content of existing pages. Lack of a strong external link profile. Sitemaps are a very useful and important part for new websites and blogs. For popular websites, sitemaps allow your website to interact with major search engines more effectively. How can Search engines can guess your site is updated, which parts of your website are faster updated than others, set crawl rate for your site, etc. There are many different types of sitemaps. Let’s look at the ones you actually need. A maximum of 50,000 URLs. An uncompressed file size limit of 50MB. Image sitemaps were designed to help and improve image indexation. images are also embedded within website page content, so will be crawled along with the page URL. The video is similar to images, if videos and critical to your business, submit an XML video sitemap. Only who sites registered with Google News should use this sitemap. There are many ways to create an XML sitemap in a WordPress website. 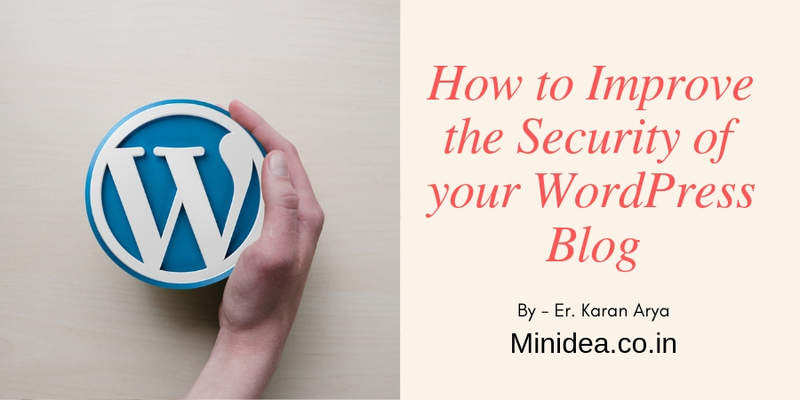 At minidea.co.in, we use Yoast’s WordPress SEO plugin to generate our sitemaps. 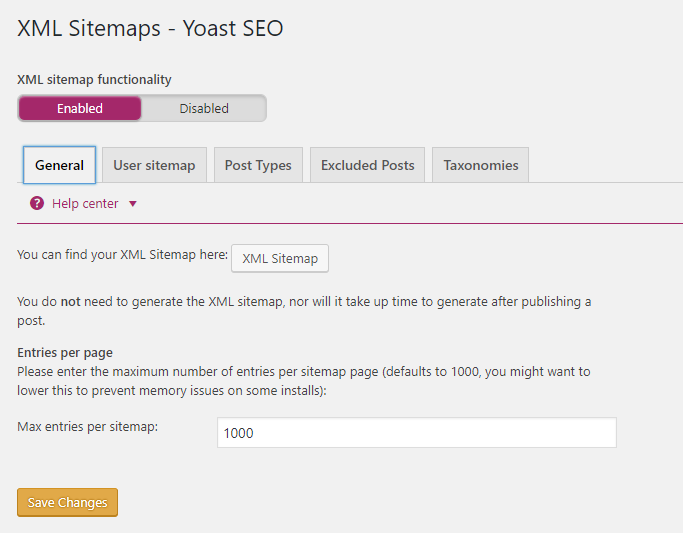 WordPress Yoast SEO plugin creates an XML sitemap for your website automatically. We use this Yoast SEO plugin because it allows the user to optimize our blog posts along with offering other special features like sitemaps create social integration, and more. For add a sitemap to your WordPress website, the first thing you need to install and activate the WordPress Yoast SEO Plugin. WordPress SEO does not automatically enable Google XML sitemap functionality, so you will have to turn on. You just go to SEO » XML Sitemaps and check the box to enable XML sitemap functionality. If you check the box to enable XML sitemap functionality, WordPress SEO will show you a number of options that you can configure for your Sitemaps. Now your sitemaps are generated. WordPress SEO will show an XML Sitemap button which you can click to view your sitemapsitemap_index.xml. Search engines are very smart to find a website sitemap. Whenever you publish or post new content a ping is sent to Google and Bing to inform them about changes in your sitemap. You just submit your sitemap on Google by using Google Webmaster tools. Go to Google Webmaster Tools. If you are not already signed in to your Google webmaster account, then you will click to sign in. There you will see a “Add a website” button, click on this and add the URL of your website. On the next screen, you will be asked to verify the website Ownership. There are many methods (process) to do that. But we use the easiest and simple method for you is to copy the HTML Meta tag value and paste it in WordPress SEO plugin or website header. To do that click on Alternate methods and then on HTML Tag. You will then see a line of HTML Meta tag code. 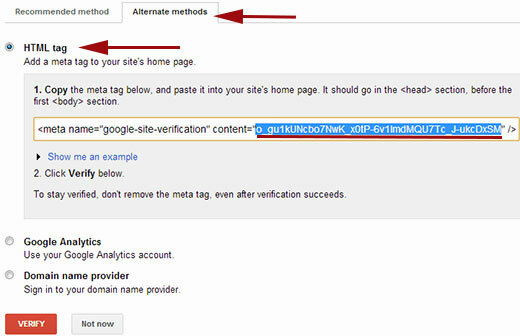 Copy and Paste the meta tag to Google Webmaster tools and Save Settings. Back to Google webmaster tools, site verification screen and click the verify button. After clicking a notice appear like “Congratulations you have successfully verified your ownership of www.yoursite.com”. Click on continue to see webmaster dashboard for your site. On the next screen, you will see a Sitemaps column. it will take you to a Sitemaps page where you can add your sitemaps. Click on the red button “Add/Test Sitemap” and provide the URL of your sitemap. Once you have successfully submitted your sitemap on google webmaster, it will show as pending. It will Google take some time to crawl your website. After submitting sitemap show you the number of website links it found in the sitemap, how many of them got indexed, a ratio of images and web pages, etc. The XML sitemap helps Google to crawl and index your website pages. 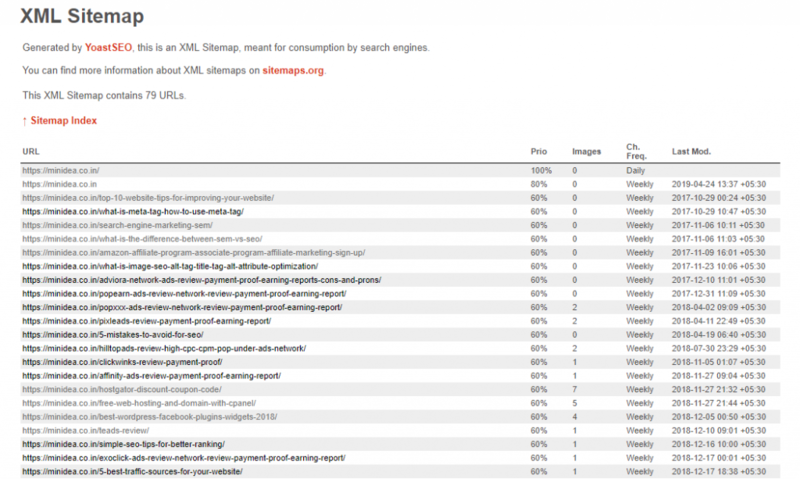 The XML sitemap helps Google what to crawl on your website. The XML sitemap helps Google what kind of information is on your website. The XML sitemap helps Google when your content was updated (which could result in more favorable or “fresh” rankings). The XML sitemap helps Google how often your content is updated. The XML sitemap helps Google how important your content is. Do we hope that it answered all the related questions like What is XML Sitemap In SEO? How to Create a Sitemap in WordPress Website? and what are the benefits of a sitemap and more? If you have any questions or noticed that we missed something, then please leave a comment below.